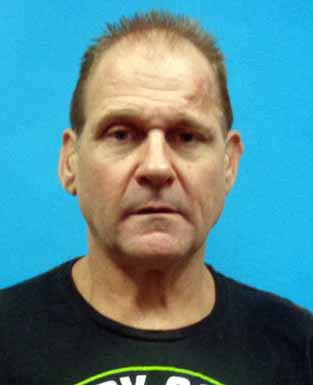 Seems that Peter Hans Emery Jr., 56, took some pills from a “lock box” at the victim’s Pinellas Park home, thinking they were the narcotic medication hydrocodone-acetamenophen, because… that’s what was printed on the label. The complaint lists Emery’s home address as the site of the theft, but his relationship with the 49-year-old victim is unknown. Seems also that a video camera caught the man in the act. It didn’t take Emery too long to discover that he didn’t have painkillers, because the pill bottle actually had Gentle Laxative, the Equate brand by Wal-Mart which promises “predictable overnight relief” from constipation. He was booked into the Pinellas County jail on a felony charge since he had two prior theft convictions, and is also facing probation violation charges since he is in the midst of a two-year community supervision term related to a conviction last year for theft and illegal possession of the painkiller Dilaudid. Emery is a habitual offender, and has served a total of 28 months in state prison with has a rap sheet full of arrests for offenses like burglary; cocaine possession; forgery; grand theft; resisting arrest; auto theft; and failure to appear in court. Emery was also on Federal probation at the time of his recent arrest, has priors that include two theft convictions – one in 2014 and another in 2015, according to jail records. Jailers didn’t mention how much toilet paper he requested. This entry was posted on Tuesday, January 29, 2019 at 6:43 PM	and is filed under - Lost In Space: TOTALLY Discombobulated, - Read 'em and weep: The Daily News, WTF. Tagged: crime, Florida, hydrocodone, theft. You can follow any responses to this entry through the RSS 2.0 feed. You can leave a response, or trackback from your own site. Talk about being “full of crap”!